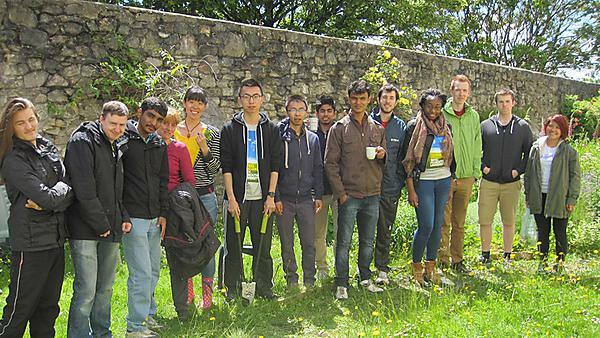 Make a difference with your time at Plymouth through a range of sustainability opportunities. Coming to one of the internationally leading sustainable universities as well as the Ocean City, with an incredible wild and beautiful landscape on its door step, gives you countless opportunities to get involved in making a real difference! Check out just some of the study linked and extra-curricular opportunities here and choose forthcoming events to find out about future workshops. The Future Leaders Programme is open to any students with an interest in helping to lead sustainability education here at Plymouth University. Working in partnership with the Centre for Sustainable Futures and in an informal team setting, your vision and enterprise will help us to innovate new learning opportunities both within and beyond the campus. The programme also provides you with personal development opportunities to develop your leadership, creativity, teamwork and communication skills. Interested? Then get in touch with the Centre for Sustainable Futures. The Centre for Sustainable Futures partners with students to help promote the University’s work in the field of sustainability education and has set up a Student Sustainability Ambassadors Scheme. Each year students help the University to promote sustainability to prospective students when they visit Plymouth and to first year students when they first arrive. The Sustainability Ambassadors Scheme also provides opportunities to get involved in a variety of sustainability education projects linked to the local community such as during Fair Trade Fortnight. For more information about this scheme contact the Centre for Sustainable Futures. Build a campaign from scratch or help with current projects, this forum is open to anyone with an interest in local sustainability solutions. It is a space for students to share their ideas for ultimate change within the UPSU and the University, so why not come along to one of the monthly meetings advertised on the Facebook page UPSU: Environment and Sustainability Forum, or if you would like to know more visit the UPSU's website. Every month the University runs opportunities for both staff and students to volunteer with greening the campus. This groups looks after a small physic garden, keeping attractive insect friendly plants on site that are also good for the University’s bees. Everyone is welcome, each session ends with a cuppa in one of our cafes. Come regularly, or drop in occasionally. To find out when the next gardening session is, view the events page or contact the Centre for Sustainable Futures. Want to know how to thrive in and contribute to the interconnected 21st century world? The Plymouth Global Challenge Programme is an interactive fun-filled day of activities. You'll participate in workshops led by experts in their areas. Want to know more about Plymouth Global Challenge. Contact the Centre for Sustainable Futures to register your interest in taking part on 6 June 2018. 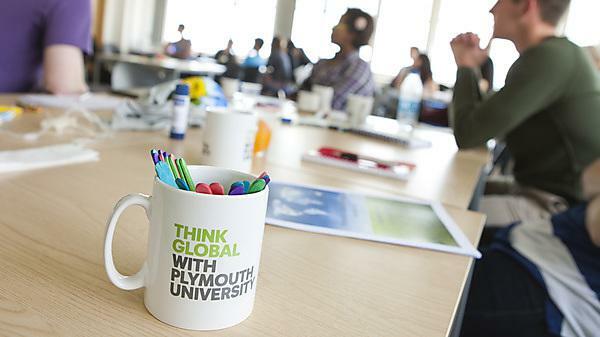 Plymouth Global Challenge - a course focused on sustainability, intercultural communications and all the aspects that would make a student become more globally aware. Plymouth University is excited to be part of the pilot programme for the new Dissertations for Good initiative by the NUS. Dissertations for Good is an online, brokering tool that helps students who want a real-life research opportunity to meet organisations that have real-life sustainability problems. The web tool and app is accessible to all and facilitates interaction between individuals and organisations who want to enhance the sustainability of business and community. For organisations it will be a vital injection of time, energy and clever thinking and for students there is the opportunity to develop their employability, expand their networks and do meaningful research, making them better placed for an increasingly competitive job market. Find out more about how you can harness the power of your dissertation for social good. In support of the Dissertations for Good initiative there is also the Sustainable Earth Institute Student Sustainability Research Prize. In 2015 and 2016, this prize celebrated the amazing research carried out by Plymouth University students. Please see the following page for previous winners and summaries of their research. If you are interested in supporting a sustainable future for Plymouth, then as a starting point why not look at the joint research manifesto co-developed by Plymouth City Council and the ISSR (now the Sustainable Earth Institute). The manifesto outlines some initial research questions that can support Plymouth’s sustainable growth and frames these into nine priority research themes; Health inequalities, natural infrastructure, water quality and flooding, home energy, transport, knowledge economy, sustainable food, governance and participation and housing. For more information visit the student prize 2016 page. As well as study linked opportunities for engaging with sustainability Plymouth University has a wealth of other extra-curricular opportunities to get involved in. To find out more visit our Plymouth Extra page that provides an online catalogue for students to search for extra-curricular activities available.